We have already written about many beautiful distant places around the world, but we haven’t dedicated enough time yet to show you some of the wonderful places around our homes. 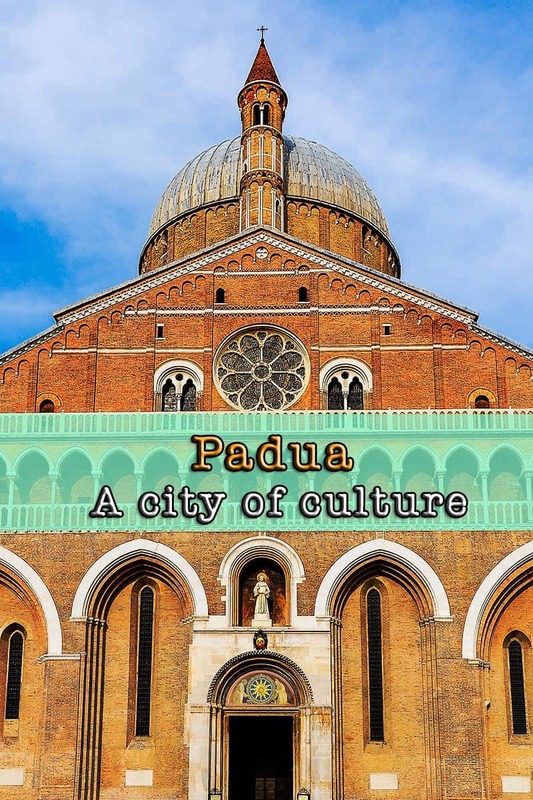 This time, we will give you some reasons to visit Padua (Padova for the Italian), the city where Rachele is from. Ok, she’s not exactly from Padua, but from a small town around, nevertheless, she always considered it her own city. 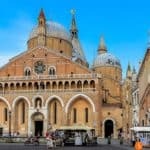 Padua, a city that is much less frequented by tourists than it would deserve, has always been one of the most important cultural and intellectual centers of the Italian Peninsula. One of the peculiar characteristics of this city is that local people call it the city of the “tre senza” (three without) as the title of the post already tells you that. 5 PIN IT FOR LATER? 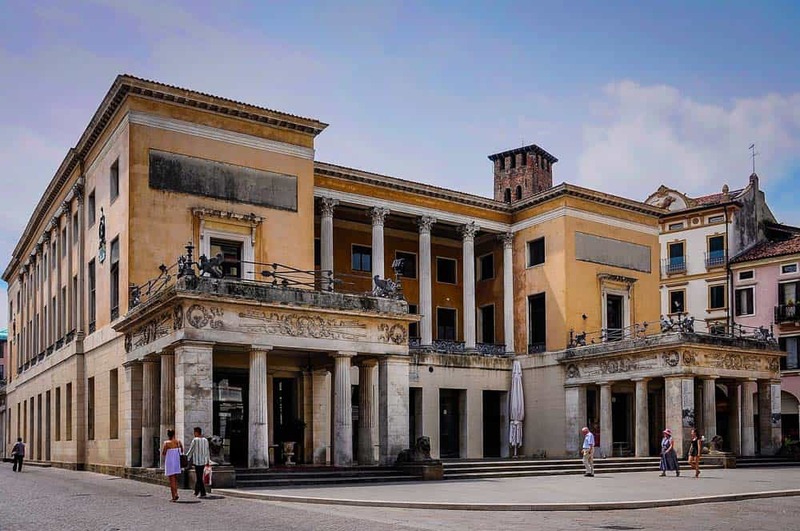 The Pedrocchi Café is the oldest one in Padua (open since the beginning of the 19th century), whose owner was Antonio Pedrrochi who extended the antique café he inherited from his fatther. His dream was to make the new Pedrocchi Café the most beautiful one in the world. Being “without doors” has a double meaning in the case of this café: On the one hand the doors and windows are always open and from the road one can look inside the café, and on the other hand till 1916 the café was always open during the day and at night, too. In that era, one could sit down inside to read a book or a newspaper without even being obliged to order something. Women were offered flowers, and if it started raining, umbrellas were lent to the clients. This is how clients should be taken care of! Even nowadays the café has affordable prices, and we can really assure you that trying a coffee with mint and chocolate in Pedrocchi is one of the really awesome things to do in Padua. The Prato della Valle or as the locals simple call it the Prato is the second largest square in Europe after the Red Square in Moscow. It’s a square where the Paduan love spending their time in summer reading a book, walking, running or roller-skating around the square. This square also hosts important events of the city, such as the festivities of August 15 or the one on New Year’s Eve. Prato means field, but there’s not so much grass on it, thus, it is not a proper field. However, local people call it “prato” and not “piazza” (square). This is where the saying “field without grass” comes from. 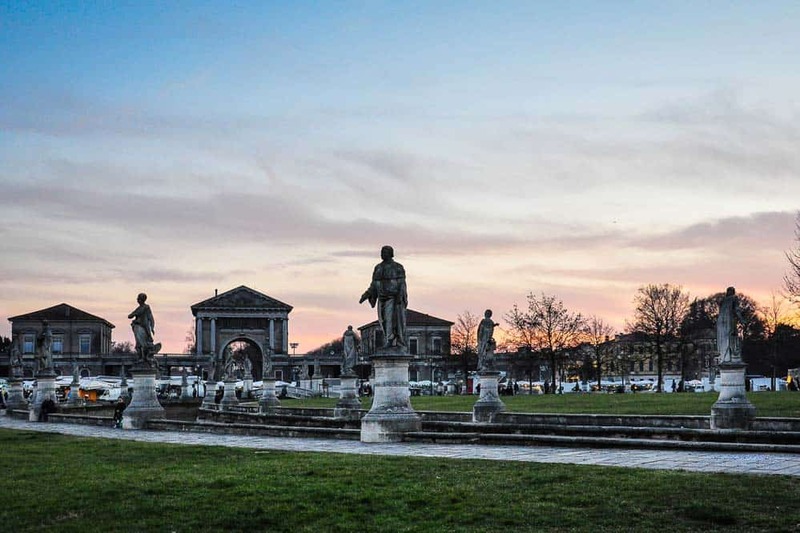 I still remember the day when I asked Rachele to take me again to my favorite square, and she really had a hard time to recognize that I was talking about the Prato della Valle, which for the Paduan is NOT a square. The square has eliptical form, and there’s a small island in its center, which is connected via four bridges to the “mainland”. Four routes meet at the center of the small island, where a fountain is situated. Around the island there’s a canal with sculptures of important historical figures, Francesco Petrarca amongst others. 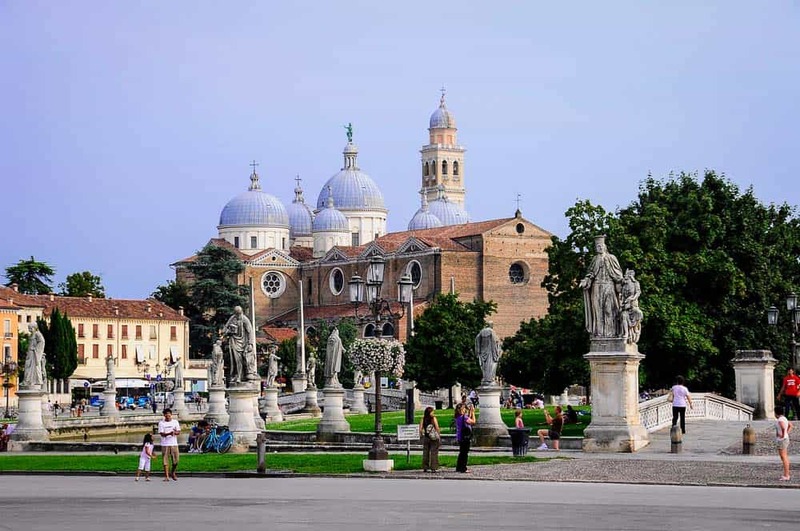 From the square you get a nice view at the precious Basilica of Santa Guistina, and it’s a very romantic place, where it’s worth spending some time when you visit Padua. The Saint of Padua is Saint Anthony, but the Paduan simply refer to him as El Santo (“The Saint”). Nobody there says let’s go to the Basilica of Saint Anthony, everybody just says let’s go to the “El Santo”, this is where the saying “Saint without a name” comes from. 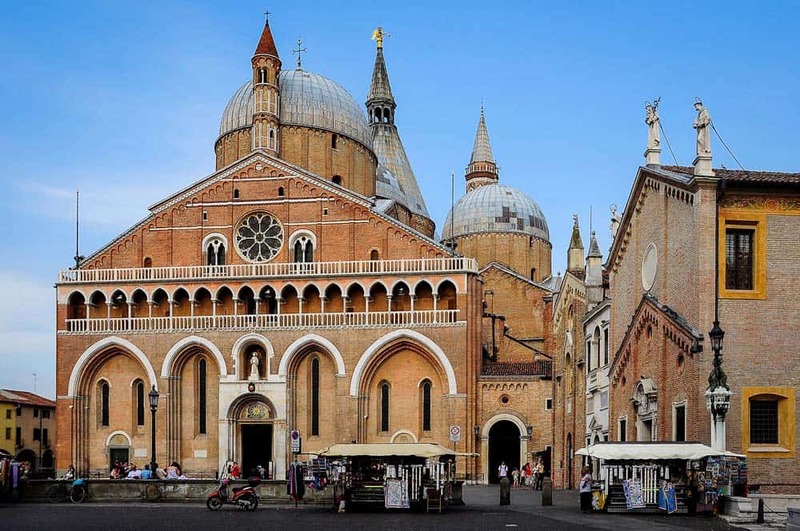 The beautiful basilica is the most important building you should visit in Padua that combines both Romanesque and Gothic elements. Inside, apart from frescos Giotto and Mantegna, you can also find the tomb with the remains of Saint Anthony, and local people visit this place with a lot of devotion. For Rachele as Paduan, it was always a pleasure to see statues of Saint Anthony around the world, I think we haven’t visited any church without at least one sculpture dedicated to the Saint without a name. 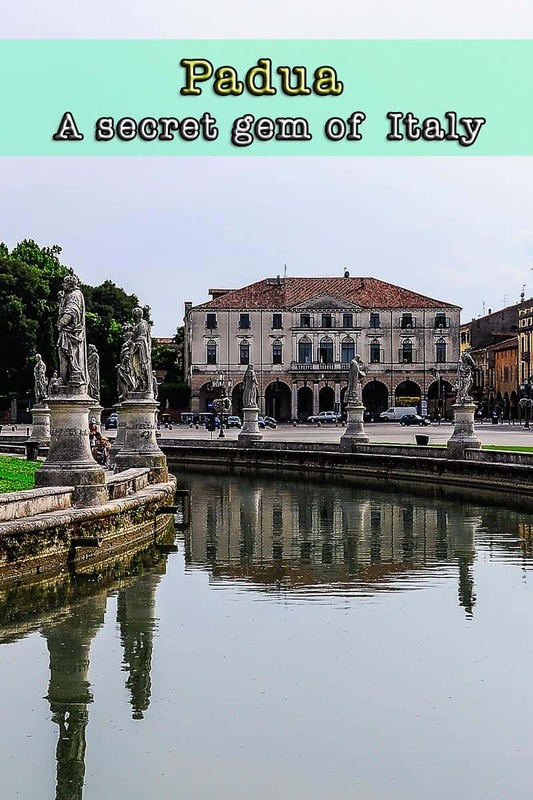 This was just a little teaser from the things to see in Padua, we really recommend you to visit this wonderful Northern Italian city. 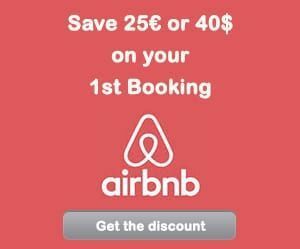 – ZZZ… BOOK YOUR HOTEL IN PADUA – find the best hotel for you. 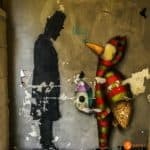 – FLYYY… Find the CHEAPEST FLIGHT TO PADUA. – BRUM BRUM… RENT A CHEAP CAR FOR YOUR TRIP TO PADUA – find the best car for you.